The year that Paisaje de Céret (Céret Landscape) was painted, 1912, coincides with the date that Eugenio d’Ors published La ben plantada(Firmly Rooted), a book that sets out the fundamental elements of d’Orsian thought, and whose protagonist, Teresa, symbolises the Mediterranean tradition from Graeco-Latin civilisation. This return to classical values would be identified with Noucentisme, which was to become the fundamental pictorial framework for certain artists, including Joaquín Sunyer. After living in Paris for a few years, Sunyer returned to Catalonia, bringing with him all the knowledge he had attained from Paul Cézanne. In 1912 he spent some time in Céret with Braque and Picasso, who were both at the time completely immersed in their invention of Cubism. 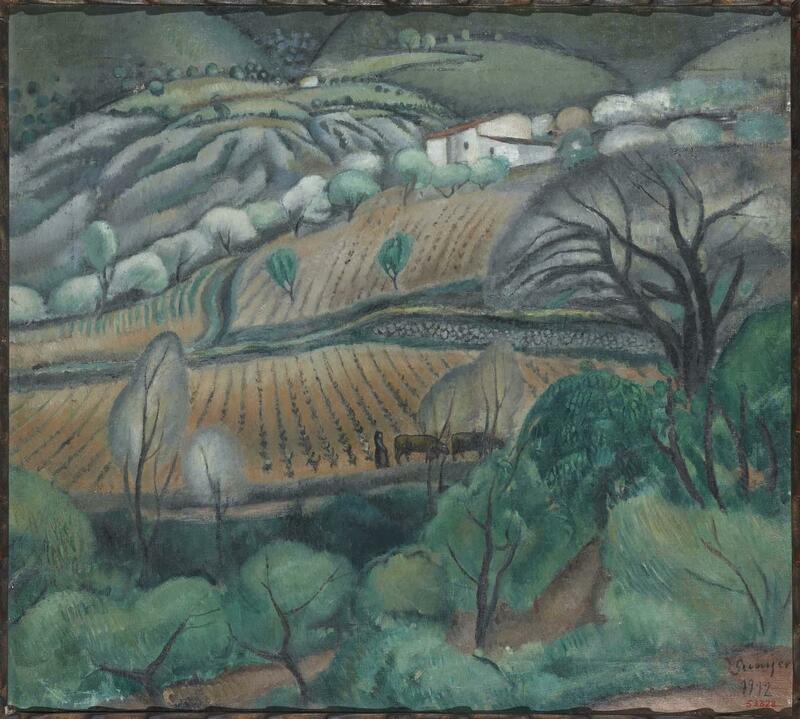 Paisaje de Céret (probably done in Céret itself) is a painting of particular significance, not only in terms of the artist’s work but also in the context of the Catalan art scene of the time, as it brings together in a single picture the legacy of Cézanne, the new aesthetics of Noucentisme and knowledge derived from experimentation with Cubism.